The Mustang From The Bush! In December 1967, Fred Nolan was 18 and had just left School. On the other side of the Pacific, Dunton Ford in Santa Ana California (Dealer Code 71D057) was selling 10 Mustangs a day, when the Highland Green 6.4 litre GT390 Mustang Fastback was ordered. The San Jose Ford Plant received the order on 27 December 1967 and the big block S Code was serialised on 1 January 1968. Dunton had specified GT Equipment Group, 3-Speed C6 Select Shift Cruise-O-Matic Transmission, 3.00 Equa-Lock Axle Ratio and 9” Locking Differential, F70x14 Wide Oval Tyres, White Side Wall Nylon Tyres, Sport Deck Rear Seat, Power Disc Brakes, Power Steering, AM Radio, Deluxe Interior Décor Group, Overhead Console, Tinted Glass, Deluxe Seat Belts and a Remote Control LH Driver Mirror as factory fitted options. The Body was Bucked on 6 January and car completed on schedule 11 January, 1968. Released the next day … it was a total of 16 days from initial order to delivery. It is hard to imagine that happening today especially over Christmas/New Year ! Sold 6 days later, it was a lot of car for its first owner, a lady. This was at a time when petrol was around 30 cents a gallon, or 8 cents per litre in Aussie terms. 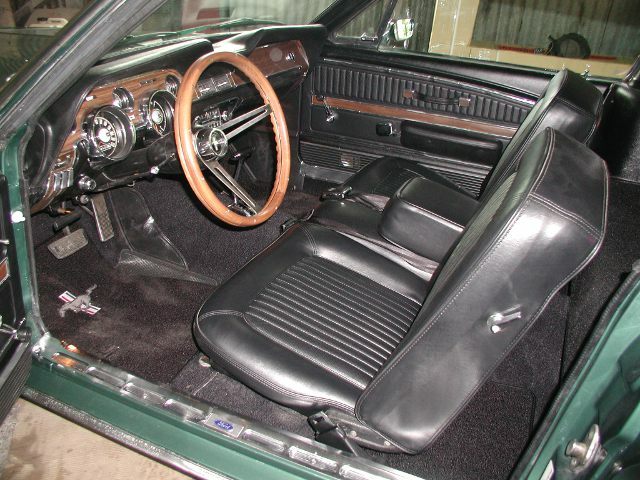 For the 1968 model year, Ford built just 3 GT390 Fastback’s with the Black Knitted Décor Bench seat and only 316 with Highland Green paint. Of the 317,423 Mustangs built that year, this Mustang is the only 1 of 42,582 Fastback’s specified with its particular options. Unknowingly, Dunton had created a sole example of its type, a very rare and special vehicle. The Mustang was sold in 1989 to its second owner from Yorba Linda, Orange County near Anaheim. It remained in running order until Robert and some friends having a few beers decided to restore it. A restoration of sorts was started, then abandoned. 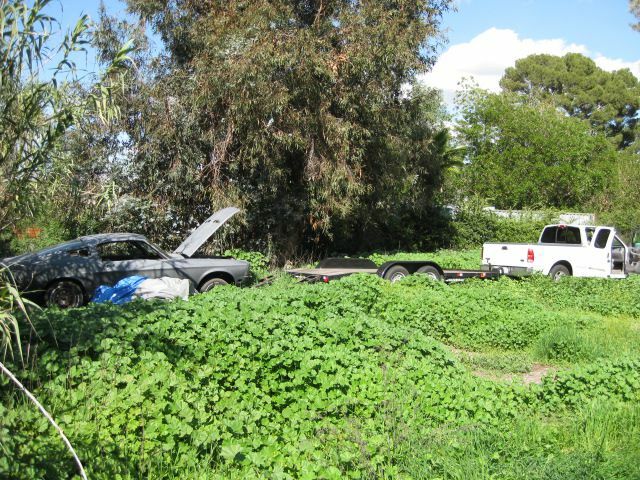 Still registered with black California plates, it was acquired by Michael from North Hollywood, Los Angeles and for the next 5 years it sat abandoned in a paddock behind his house. The engine was overhauled by M&R Engines of Glendale CA in 2004 as the start of a restoration, which was never completed. The C6 automatic transmission had already been overhauled but most importantly the engine, transmission and differential are all original components matching the car’s VIN, Warranty number and Body stamps. It is uncommon for a Mustang with any mileage to retain all its primary drive train components. Perhaps it was because it had a lady driver for many years! The zero time engine and transmission remained in storage in the USA, until re-united in Australia during its restoration process. A deluxe Marti Auto Works Report describes the vehicle and its production status. January 2010, saw the car celebrate its 42nd birthday … in Australia ! 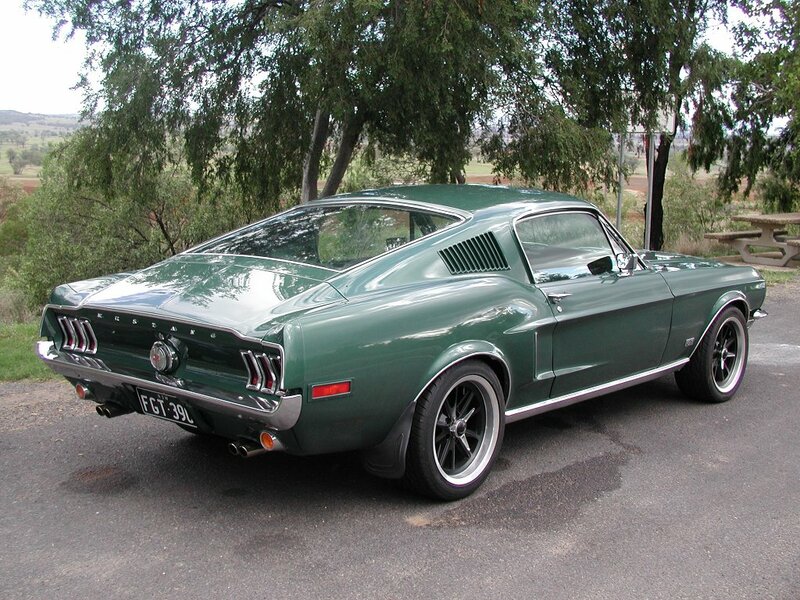 He had always wanted a Mustang, ever since seeing a brand new 69 Mach 1 parked in the streets of Sydney back in 1970. Co-incidentally around the same time as Michael was acquiring the S Code on the other side of the World, his quest to obtain the last of the Classic Mustang’s took place. It had to be a big block though. The search started in Australia but extended to the USA & New Zealand where he met Pete Tate, a vehicle Import/Export specialist based out of Carson, California. Many GT390 and Shelby cars were looked at, but most were sold before the car could be inspected, or were rust buckets. Others that were driveable were too expensive as a base resto cost. As he intended a ground up resto, the car may as well be a project, after all either car would experience the same level of attention, Fred thought. 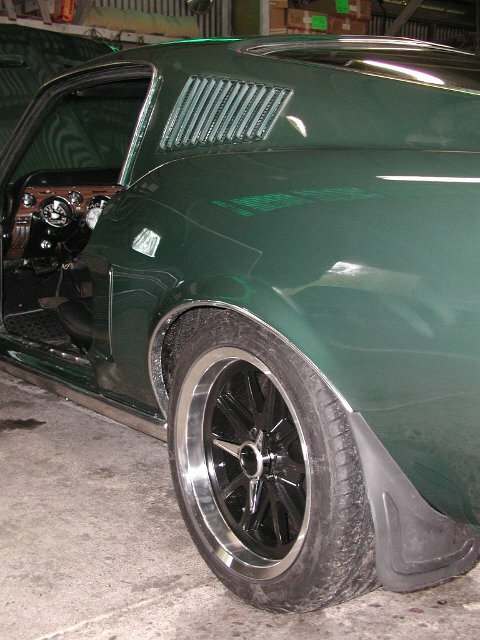 To justify the cost of a zero restoration, the car needed to be special, and this Mustang is exactly that! About 98% complete, covered in dust, spider webs and painted in drab gray undercoat, the ‘Stang sat forlorn in a Californian paddock surrounded by Marshmallow weeds and Eucalyptus tree’s! The Mustang was crying out to come to Australia. When Kath was shown the photo’s of the car, some uncomplimentary remarks were made, to which Fred replied “Kath, you have to have a vision !”. With clear title, a deal was struck and on 5 March 2009, the Mustang was collected from the bush. That evening, the car was at Pete Tate’s Los Angles warehouse, where it was washed and cleaned for export. Initially, it was planned to restore the car himself but because Fred was soon to take on a new International sales role, he felt that it would take too long to complete. So he started looking about for a facility that could do the car in good time and cost, eventually selecting Ron Woods, RJ Motor & Body Repairs at Port Macquarie NSW. 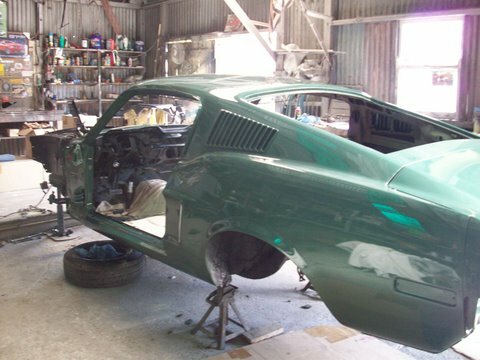 Ron was retired but still retained his workshop and specialised in restoration and RHD mod’s of Classic Mustangs. 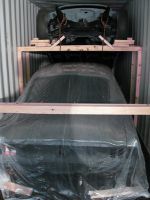 When the Australian Vehicle Import Approval was issued, the Mustang was loaded into a shared container with two other vehicles, motor bikes and parts, together with a large supply of initial parts for the car’s restoration. Shipping to Sydney was co-ordinated by Pete Tate, whose company Foytt Shipping and Auto (www.foytt.com) liaised with TCF International at Botany, all the relevant Australian Customs and AQIS requirements. The 40ft high cube container with its precious cargo departed Los Angeles Port on 19 April 2009 aboard the ANL “Binburra”, arriving in Sydney on 9 May 2009. 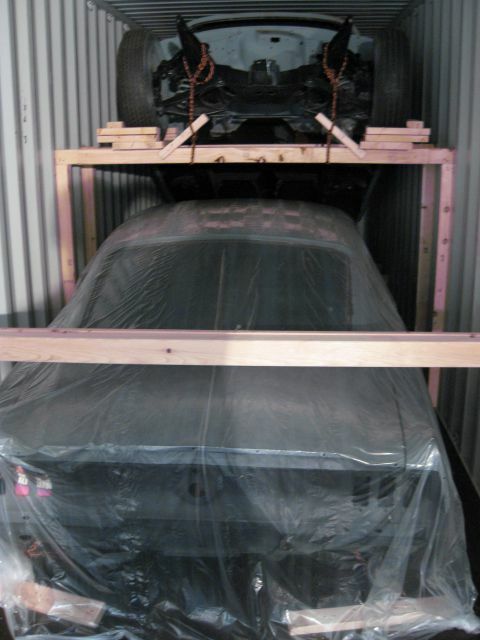 An uneventful Pacific crossing, Customs clearance and AQIS Quarantine Inspection saw the car collected by Holiday Coast Tilt Trays and transported to Port Macquarie, arriving May 20, 2009. The restoration started the next day ! The engine compartment was fully dismantled, sand blasted and primed. The shock towers were re-welded better than factory and the front fenders, LHS inner fender apron and the radiator support assembly were replaced. The engine and transmission received close attention, with the 390 Big Block being delivered to John Black of Engine World Port Macquarie for disassembly and inspection. The engine had been stored since late 2004, so it was decided to disassemble, inspect and verify its condition. John also detailed what additional parts were required to complete the engine installation. The engine is modified slightly from a factory 390, where a mild Comp Cam and Edelbrock Performance Inlet Manifold were installed and head work carried out. It also received an upgrade to run unleaded fuel. A near new ex Shelby high flow Radiator, Shroud and support frame, with 6-Blade cooling fan and mounts was sourced. During tear down, the engine serial number 8R1268-62 was confirmed punched into the rear of the engine block, matching the car’s VIN. The model number 02 and engine code S were deleted by Ford to form an abbreviated msn for the engine and transmission assemblies. The engine block build date VE 7L8 is de-coded as 8 November 1967, matching the cars purchase order. The C6 casing also has the serial number stamped onto the upper rear gearbox casing. 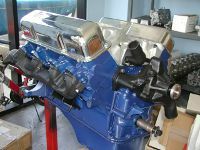 The engine bay was painted Ford Satin Black and the engine block received the correct Ford Corporate Blue. Whilst the plan is to drive the Mustang regularly, the car was kept Left Hand Drive due to its rarity and future export potential. The brief was to retain as much of the original car & components as justified the restoration, its appearance or importance. Detailed inspection revealed that the Mustang was in surprisingly good order. 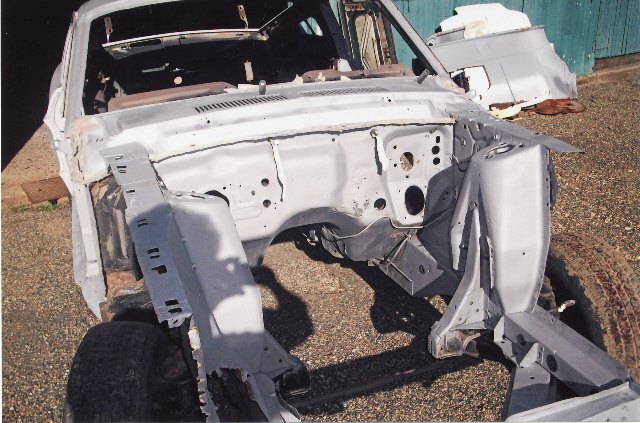 The body metal was mostly undamaged, the front engine rails were straight, door/hood & trunk gaps were even, the torque box had nice defined edges (unusual for the USA winter road maintenance and a benefit of being a southern California car) and the under body showed no signs of deterioration or damage. There was some minor damage to the front LH inner fender apron. Later during sand blasting, a poor patch repair to the LH rear quarter panel became evident, requiring its replacement. The side glass and rear window are original, the windscreen replaced. 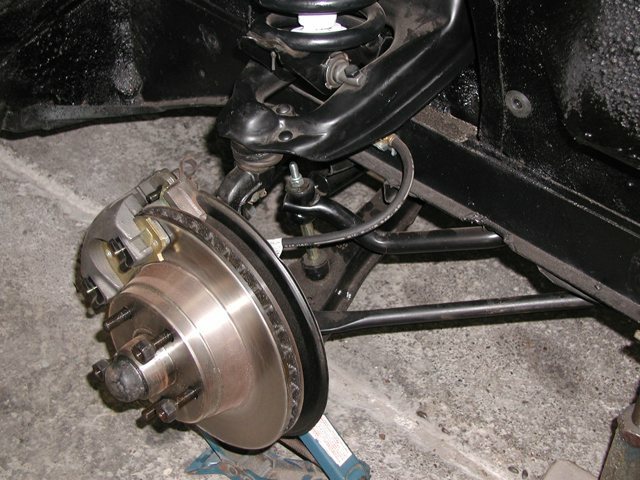 It was decided to upgrade the standard power steering assembly with an AOL Rack and Pinion & Power Steering kit. 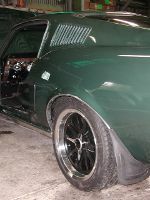 A Monte Carlo bar, front and rear anti-sway bars, heavy duty Shelby GT front coil springs, gas shocks and shackle kits were installed for better handling. New disc brake housings were fitted and the rear drum brakes overhauled. Interior fit out was all new, as little of the old interior trim was re-useable. Carpet underlay, insulation and heat shields were laid down in cabin. A new 60 lt fuel tank and fuel quantity sender was installed. The cars electrical wiring was in surprisingly good order. The car was largely rust free. The passenger right hand floor pan was replaced, due to a leaking heater core. Both rear floor panels were replaced in sympathy. Inspection panel’s was cut into the upper seat mount frame, the cavity inspected and re-sprayed with fish oil and new access cover plates made. The rear RH Quarter panel near the wheel arch was repaired, battery tray replaced and localised surface rust areas like the door frames, hood hinges and bonnet latch were treated or replaced. The partial restoration in the USA had acted as an insurance policy for its future preservation. Sand blasting revealed typical small dents and abrasions. A new trunk lid replaced a buckled original. The fenders, door gaps, trunk and hood were matched up again, prior to painting. All suspension items including the rear Axle/Diff and leaf springs were cleaned, overhauled and repainted. The Differential factory TAG was still attached stated WES-Z 3L00 7MC 997, de-coded as correct unit for a 68 Mustang w/3.00:1 Posi-Lock 4 pin 28 spline unit, built 3rd week December 1967 and for a Mustang with dual exhaust and 9” housing. It is the original Differential for the car, which after 42 years still retains its original drive train. The under body including the inner wheel arch areas were cleaned, inspected and treated with black Body Schultz Proof Coat + fish oil, which is also acts as a sound deadener. The interior floor panels and inner door cavities and the like were treated with Endrust paint + fish oil. Most of the chrome items like moldings, quarter window latches, surrounds for the fold down seat, interior quarter panel courtesy lights etc were replaced. The driver window glass was swapped out due to metal gouging. The original deluxe steering wheel was shipped to Best-In-Show California for full refurbishment. Sean McDonagh of BossKraft ( www.bosskraft.com ) Sydney is a Mustang Club of America Gold Card Concours Judge, restored the original Deluxe Seat Belts for the project and has assisted Fred with expert advice. The factory 12 Slot Steel wheel rims were set aside, with one being utilised as the spare wheel. For Australia, 17” x 8” (front) and 17” x 9” (rear) Coy C67 with Flat Black centres were installed. The rims were shod with Low Profile Toyo Proxe 4’s, the rear receiving 255/40ZR17 98W and the front 245/40ZR17 95W tyres. Etch primer was applied following the sand blasting, all dents and abrasions were repaired and the surface re-treated. There was relatively minor surface damage overall. 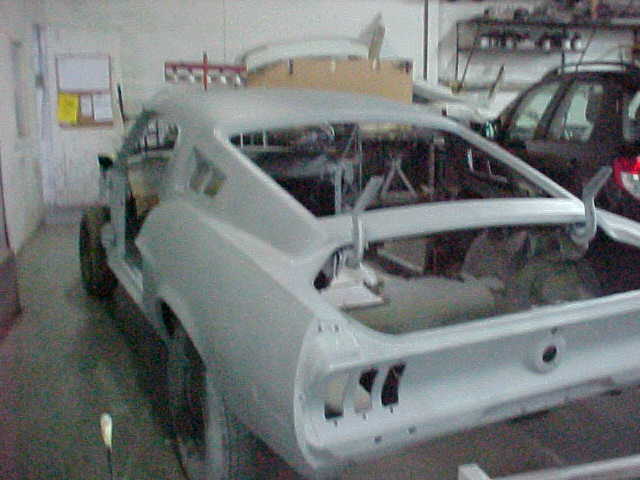 By September, the car was ready for undercoat. A full rub down of the undercoat followed and then 2 coats of the car’s original Highland Green Metallic enamel (Code R). This was followed by 3 coats of clear lacquer finish and oven baked. Following a cut and polish, the car has a beautiful deep shine to it. By September 2009, approximately 4 months from initial job start most of the preparation work was completed. 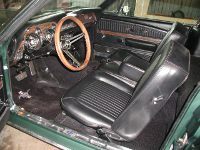 By December, the car was progressively re-assembled with the carpets, upholstery installed and dashboard functioning again. It was exciting to see the oil psi, water temp and amp gauge’s all reporting again after so long. In January 2010, the car received its wheel alignment and then delivered to Port Macquarie Tuning Services for Dyno Tune and engine run in. It recorded 345 Ft Lbs of Torque at a low 74 kph generating very quick acceleration from standing start as well as in the cruise. The Horse Power available remains constant and the power curve flat until 150 kph and then starts to drop off after 163 kph. In 1968, standard factory 390 engines were rated at 330 hp at the flywheel and whilst measurements are not taken that way now, the engine is comfortably producing at least that output. The Autolite 4300 carburettor supplied with the car was replaced on the Dyno by a new 670 cfm Holly Street Avenger 0-81670 unit. The car was coming together at last. Fred is a member of the Moree Motor Enthusiasts Club ( www.mmec.org.au ) and the car will be displayed at Club functions through out the year as well as participate in Club Runs to local destinations. The car will be on display at the Moree Motor Expo to be held on Fathers Day weekend in September as well as the Boss Mustang Nationals at Port Macquarie in October 2010.. The Mustang was registered FGT-390 on 4 February 2010 and on Friday 12 March 2010, the Mustang from the bush was home.